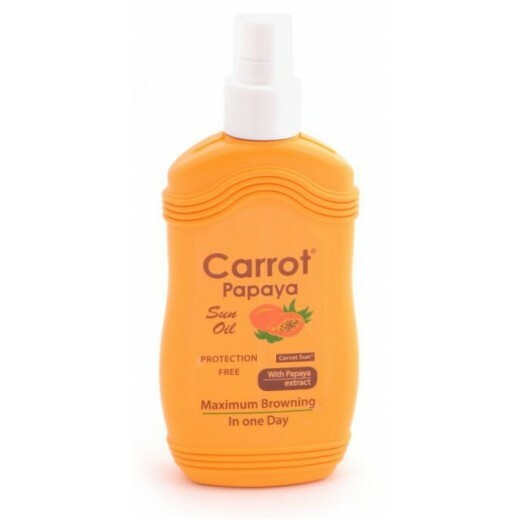 ♦ Carrot Sun products contain a natural tan-accelerating agent called L-Tryrosine. L-Tyrosine is an amino acid which promotes and stimulates the production of melanin in the skin upon exposure to the sun or sunbeds. Melanin is the pigment responsible for the tanned colour of your skin, and also protects your skin from UV rays. The presence of L-Tyrosine in our tanning formulas means that less time is needed on a sunbed or in the sun to achieve your desired colour. ♦ It contains a tan accelerating agent Tyrosine, which allows a rapid and long lasting tan. ♦ It contains henna, which enhances your color and prolongs your tan.